For the second time in two years, the Supreme Court on Monday assigned itself the task of clarifying the president’s power to fill government posts — even as the Court awaits a nominee to join its own ranks. The new case — like one in 2014 — involves the staffing of the National Labor Relations Board. At issue this time is when the president may name someone to perform a high-level federal office in an “acting” capacity, affecting many posts throughout the bureaucracy. In another newly granted case, the Court will clarify the federal government’s power to hold in detention people who have no legal right to enter or be in the country, pending their deportation. Both that and the appointments case will be heard and decided at the Court’s next Term, starting in October. 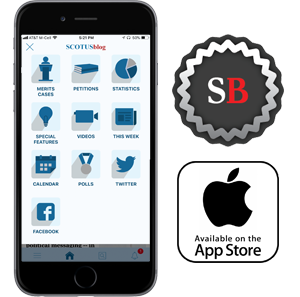 At this point, it may be that both cases will be heard by an eight-Justice Court, because of the continuing uncertainty over a nominee to succeed the late Justice Antonin Scalia. There is no provision in federal law for naming an “acting” Justice when there is a vacancy. In a third significant action on Monday, the Court declined to consider Second Amendment challenges to state bans on assault weapons, in Connecticut and New York. That echoed a similar refusal last December to review the constitutionality of such a ban in a Chicago suburb, Highland Park. Turned aside this time were the Connecticut case of Shew v. Malloy and the New York case of Kampfer v. Cuomo. No Justice noted a dissent from either denial. 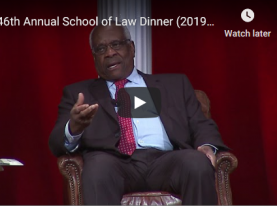 Justice Clarence Thomas had dissented when the Court passed up the issue in December; he was joined at that time by Scalia. In addition, the Court asked for the federal government’s view on whether it should hear two new patent disputes. The combined cases of Amgen v. Sandoz and Sandoz v. Amgen grow out of a decision by the U.S. Court of Appeals for the Federal Circuit adding more time to the supposedly abbreviated process of government approval of the marketing of “biosimilars” — that is, products that are similar to existing biologics, now a major source of new products for medical treatment. In the case of Impression Products v. Lexmark International, a dispute over the sale of refilled toner cartridges for computer printers raises the issue of when a patent holder loses exclusive rights after the item has been sold, if post-sale restrictions have been imposed. There is no time limit for the U.S. Solicitor General to offer the government’s views. The new dispute over presidential appointment powers — NLRB v. SW General Inc. — revolves around the meaning of a federal law that was passed in 1998 in a move by Congress to curb the use of “acting” appointments to fill spots in government offices without going through the Senate confirmation process. There is no constitutional issue involved this time, as there was in 2014 when the Court ruled in NLRB v. Noel Canning that the president has limited authority under the Constitution to fill a government position when the Senate was in recess and thus unable to act on a nominee. Congress has been controlling the authority of the president to fill vacancies since it first passed a law on that subject in 1898. The lawmakers decided to put new limits on that authority in 1998; at that time, one out of every five officials whose job required presidential nomination and Senate confirmation were serving in an “acting” capacity well beyond the time limits specified in the 1898 law. The Federal Vacancies Reform Act was passed to reclaim the Senate’s role on filling vacancies to high-level government posts. At issue in the new NLRB case is the scope of presidential authority to give someone an “acting” assignment if the president has nominated that person to the position but the Senate has not yet acted. The dispute involves President Obama’s appointment of an “acting” general counsel of the NLRB. The general counsel has the final authority to issue complaints of unfair labor practices in management-labor dealings. SW General Inc., which operates ambulance services in Arizona, challenged a decision that it had committed an unfair labor practice in ending a system of annual bonuses for emergency technicians, nurses, and paramedics. The board’s action was illegal because the case was initiated by an “acting” general counsel whom the president did not have the power to appoint, the company contended. The Supreme Court will act on the question of presidential power without ruling on the particular unfair labor practice case that gave rise to that question. In the other case in which the Court granted review on Monday, Jennings v. Rodriguez, the Court is being asked by the federal government to reinforce its authority to hold foreign nationals in detention while the issue of deportation is under review. The specific issue is whether the government must hold a hearing, at which a foreign national may seek release, every six months for all people held in detention after entering or being in the country without legal permission. In taking that question to the Court, the Justice Department contended that the U.S. Court of Appeals for the Ninth Circuit had “replaced the carefully tailored regime [for detention of illegal foreign nationals] with a rigid, one-size-fits-all rule that every alien in detention” must be given a release hearing automatically every six months. That approach, the department contended, will jeopardize its authority to hold those who have committed crimes or acts of terrorism.